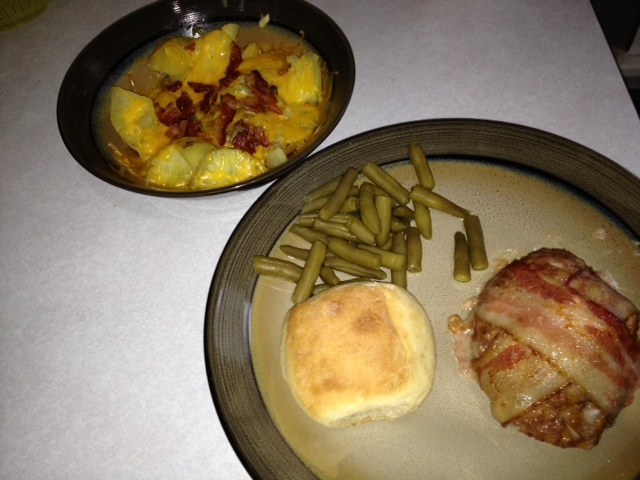 This was a yummy dish that is easy to prep and is sure to please! This is a simple dish, so why not look extravagant putting it together? TrishaTrixie designs has some custom items sure to inspire. Don’t you love the Tiffany Blue? 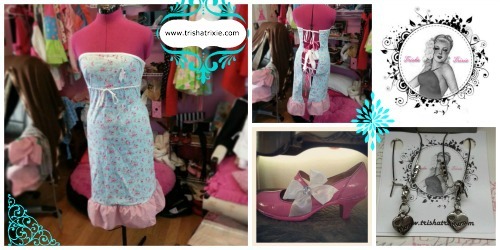 The earrings and apron are available for purchase in our shop. Now that you are ready, let us get to cooking. 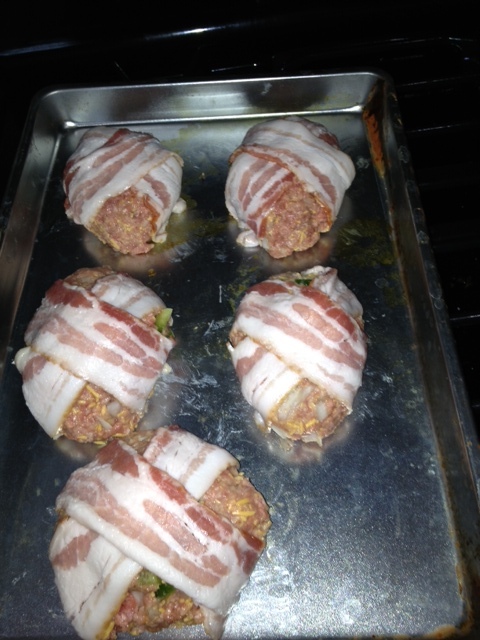 Make an x over the top of the loaf with the bacon and tuck the ends of the bacon under the loaves.